Marcus Lotharius was born in ancient Rome in the year 100 BC. Cursed as a young boy and turned immortal, he would age until his 23rd birthday, live to see the destruction of mankind, learn about the mysterious God who had saved him, and witness the rebirth of life on earth and the rise of the next race of men–an aquatic race descended from the fish of the sea. After meeting this new people, he would teach them about the Word of God and become their guardian, protector, and mediator. He would eventually balance these roles with being a husband to the beautiful aquatic-born Marina and a father to his three children: Jude, Nathaniel, and Mina. However, not all is well in paradise… The dark lord tempts this new people to sin, and they will need atonement for their souls to be saved. As God guides Marcus through dreams and prophecies, his heart grows to love this new people, and he is pulled into a supernatural battle between good and evil. In time, he learns that he will be the price of their redemption, but to save this people and everyone he loves, he will have to do the impossible–he will have to die. Join Marcus on his adventure and experience his unique walk in the Christian faith. 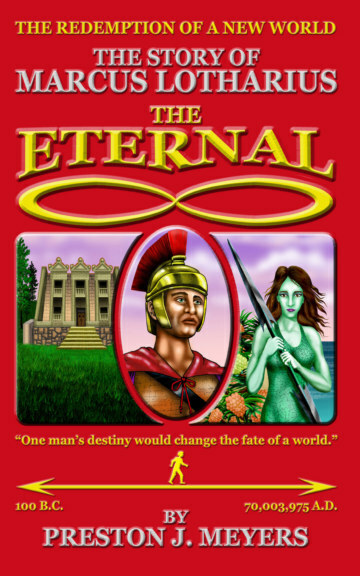 Embark on a journey of discovery, discipleship, and love, and seek that which is eternal.